The D7 is a dynamic handheld vocal microphone. It uses AKG’s patented “Laminated Varimotion” diaphragm, which is tuned to enhance the intelligibility of speech. The capsule has a supercardioid pickup pattern to reduce the transduction of off-axis sound from neighboring singers or instruments. 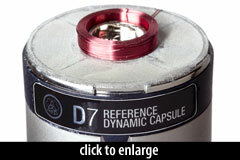 The mic’s capsule is shockmounted to reduce handling noise. Also, a high-pass filter, which rolls off low-end sound below 80Hz, is built into the output circuit. 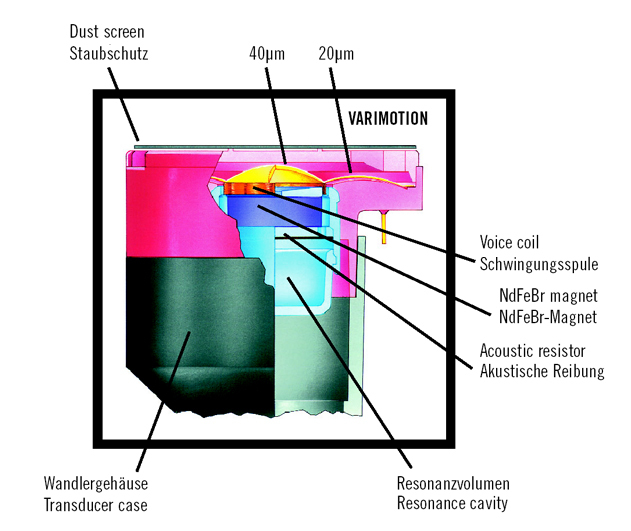 The capsule design is called “Varimotion;” it employs a diaphragm of variable thickness. The use of varying thicknesses is not new or original nor, as far as we can tell, covered by AKG’s patent on this capsule. Rather, the patent covers the manufacturing process that yields a varying-thickness membrane at low cost. The mic has a fixed high-pass filter at 80Hz. All models come with a mic clip (AKG p/n SA 61), a nylon pouch, and a replacement internal windscreen (which fits inside the metal headbasket). The LDT (chrome) version also includes a microfiber cleaning/polishing cloth. 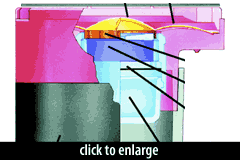 In all versions, the foam blast filter inside the steel basket can be easily removed for cleaning. We often have problems with getting adequate level without feedback, and when we use a system with [subwoofers], popping is sometimes a significant issue with our existing [vocal] mics. 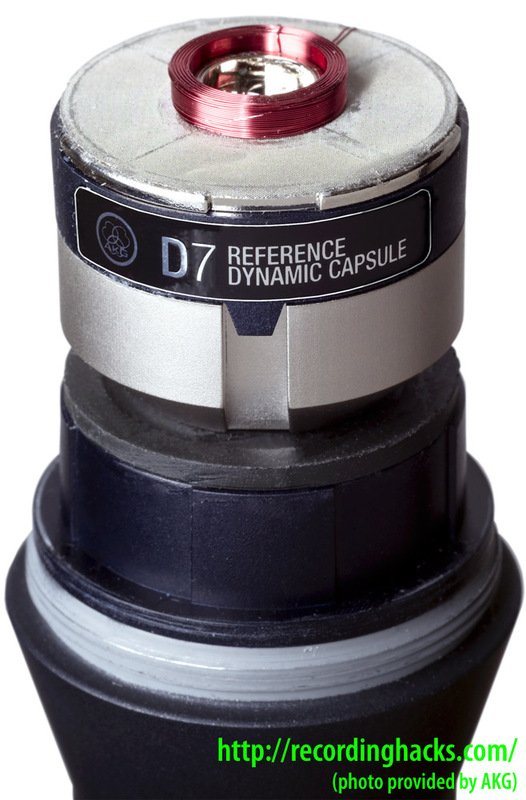 Fortunately, the D7 behaved well in both respects, delivering an adequate level of clear and well-balanced sound with no significant popping problems. The AKG Acoustics D7 is also known as: D-7.